William Tell annual produced by Adprint in 1959 featuring stories based on the TV series. 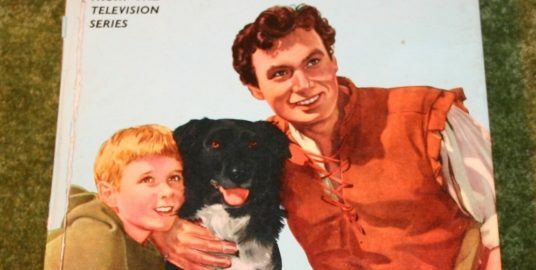 A Dutch postcard featuring William Russell as Sir Lancelot produced late 1950’s early 1960’s. 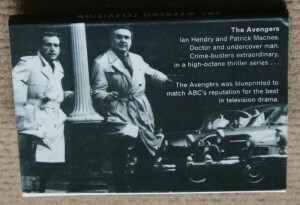 A Bell toys produced board game based on the BBC TV series . One out of a set of two different puzzles issued by Tower Press . Probably early 1960’s. 37 cards from a Set of cards issued by Topps Gum in 1966. 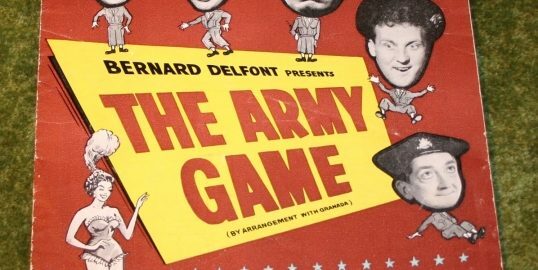 The cat of the Army Game appeared in summer season in Blackpool a theatre programme for this season. 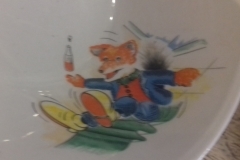 Late 60’s early 70’s childrens bowl. Dr who promotion on Golden wonder crisps in 1986. Issue 1 of Marvel’s version of Mad Magazine. Features Muppets and various superhero parodies. Also a parody of the different versions of Dracula. AMT model kit of 3 different versions of the Enterprise. Pinky and Perky LP features them preforming mostly covers of Disney movie songs. Though it also includes Chitty Chitty Bang Bang. LP Record PG Tips Brooke Bond Tea. Mr Shifter was one of the chimps in the famous series of adverts. This LP features Bernard Cribbins. Star Trek Beyond Food Label. Promotional label with competition relating to the release of Star Trek Beyond in 2016. TV Tie-in edition of classic Sherlock Holmes novel. 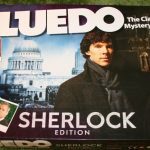 Sherlock edition of the Classic board game Cludo. Modern updating and retelling of the classic Sherlock Holmes stories. Childs bag from the movie version of Lost in Space. 2015 novel continuing the adventures of James Bond. 2008 novel continuing the adventures of James Bond. This has to be almost one of the oddest tie-ins to a TV series to have been encountered. 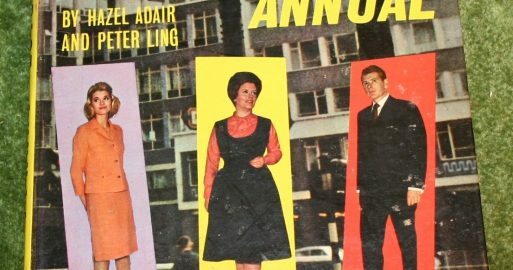 An LP of music from Emmerdale’s Church. 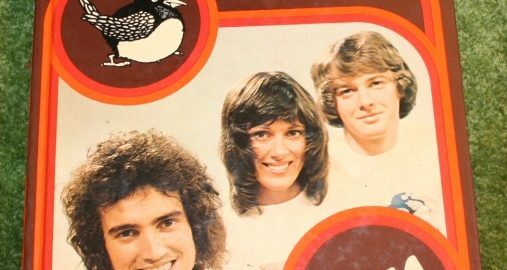 It doesn’t appear to feature any of the cast, from Emmerdale Farm, and is quite simply an album of hymns from the church. It appears to have been a charity release. Set of clothing for the Charlies Angels action dolls. 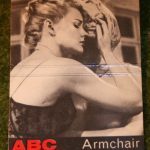 Paperback book by Graham Greene adapting his own original screenplay. Supercar Club single produced by National garages. Side B) Supercar song and Supercar twist. 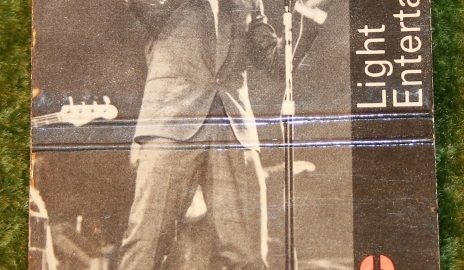 Features Barry Grey music issued in 1962. Autographed Postcard / Fan card obtained by writing into the program. Autographed by Simon Groom, Tina Heath and Christopher Wenner. 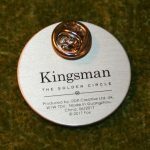 Replica of necklace/award that ‘Eggsy’ given after his fathers death in Kingsman: Secret Service, this same item also plays an important part in Kingsman: The Golden Circle. Novelty single issued around time of original Terminator movie. A leaflet promoting a James Bond themed Burlesque style event. A french release of the Sheena Easton theme. A Palitoy produced horse from the Bonanza range of figures. Five Lobby cards from the 1984 film version of Supergirl. Two logo badges obtainableexclusively from Odeon cinemas. 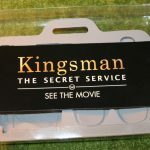 One is the Kingsman Logo, the other the Statesman logo, who are the American equivalent organisation, who first appear in this film. Promotional item given away either at screening or as competition prizes. Second film in the series. First film in the series, introduces the ‘Kingsman’ organisation and new recruit ‘Eggsy’. Successful series of spy movies based on a series of Graphic novels. A Daily Mail competition Jigsaw from around 1933. Jigsaw comes with no illustration so you need to complete puzzle in order to be able to identify films featured. Then send your answers into the paper for a chance to win the prize. This has a couple of pieces missing and the entry form is also missing, as are the correct answers. Anyone know? A German edition of the sheet music for the show. Published by Harms-witmark ltd in 1966. 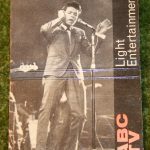 BBC TV Listings magazine for Jan 12 – 18th 1963. 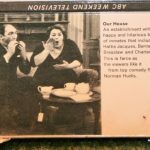 Contains listing for many classic TV shows of the period. Two page Z cars text story. Features on Steptoe & son, The Rag Trade, Lance Percival(TW3), Patrick Troughton (Pre-Dr Who). 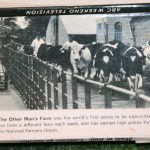 Listings include: Z Cars, Steptoe & Son, Perry Mason, The Rag Trade, Compact,TW3, Dixon of Dock Green, Laramie, The lucy Show (Lucile Ball), Blue Peter. 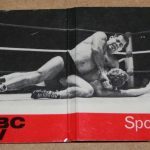 BBC TV Listings magazine for Sept 3 – 9th 1977. 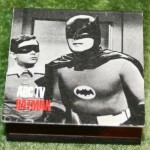 Contains listing for many classic TV shows of the period. Patrick Mower in Target cover. 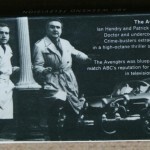 Listings include: Dr Who (Horror of Fang Rock Pt 1), Starsky and Hutch, Secret Army and Target. Hardback storybook for the Television series the Adventures of Sir Lancelot . Book produced in 1958 by Purnell and Sons Ltd. 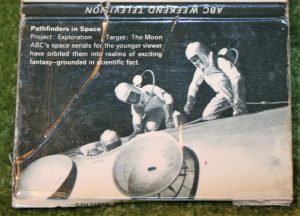 Promotional book matches promoting the ABC TV series Pathfinders in space. Promotional book matches promoting the ABC TV series Our House. 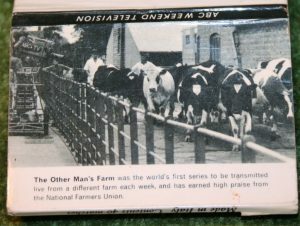 Promotional book matches promoting the ABC TV series The other man’s Farm. 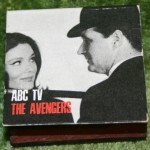 Promotional book matches promoting the ABC TV Light Entertainment series including Oh Boy. Features Cliff Richard. Promotional book matches circa 1964. 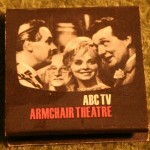 Promoting the ABC TV series Armchair Theatre. 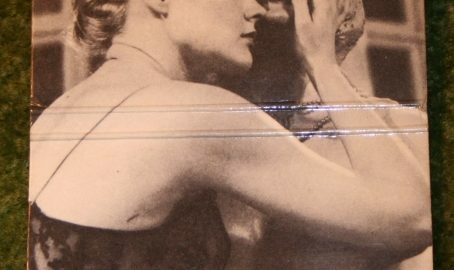 This shows an image from a production of The Paradise suite starring Carroll Baker. 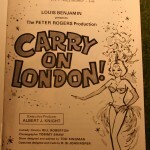 Sheet Music of the shows theme. Published by Keith Prowse music publishing in 1960. Details filming on the show for the 22nd May 1969. Diana Issue 212 from the 31st December 1966. This issue features a two page colour Avengers strip. Diana Issue 212 from the 11th March 1967. 1960’s children’s comic. Features both text and strip stories relating to many classic TV series of the period. Issue 36 September 16th, 1967. Letter sent out to those requesting Thrush membership in the UK. 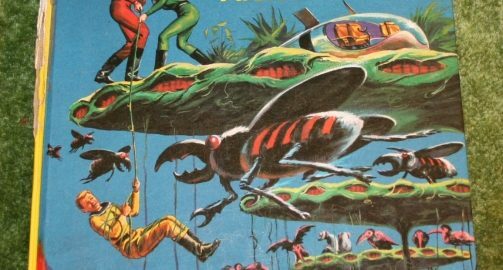 Italian comic album, black and white reprints of American Gold Key comics. A series of paperback sized monthly comics, (2 issues each month) produced in the UK. 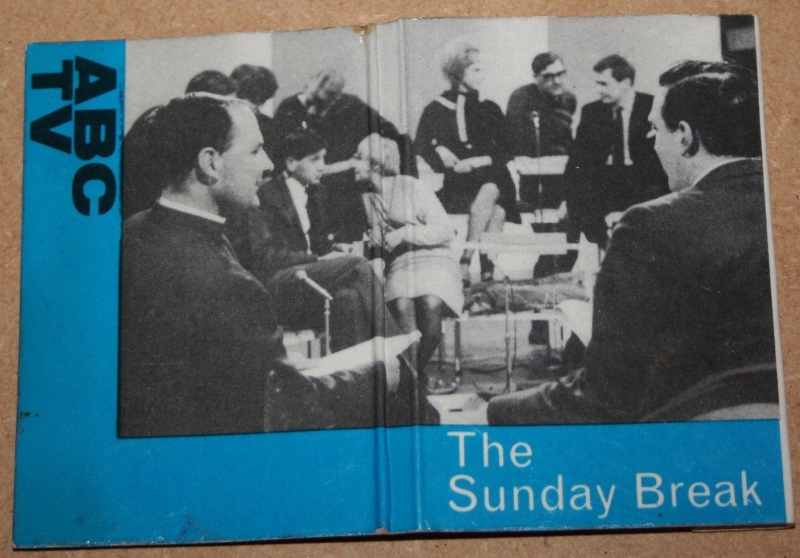 Promotional book matches for ABC TV series Sunday Break. 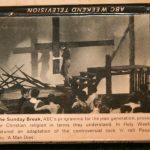 A Religious series of the 1960’s. Board Game Issued by Waddington’s games around 1970. Quality of this game compared to other games by this firm is very poor and cheep. Also game appears to be unlicensed with references to the TV series being limited to a biography of the shows writers inside the box lid. A fine example of how to tie a product to a particular TV show without having to pay any licensing fees. A 1960’s issued Dalek Jigsaw puzzle produced by Thomas Hope and Sanky. One from a set of puzzles issued by this firm around 1966. Great puzzle sadly original box has long since vanish, how this has survived complete without its box is a mystery to me, when so many puzzles of this age that have their boxes are incomplete. This is an exceptionally nice wristwatch issued in France as a promotional piece for the release of the 1998 feature film. 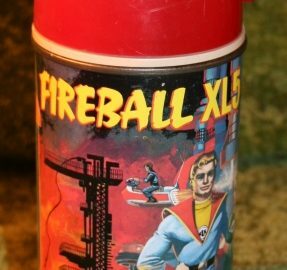 Thermos Flask issued by King-Seeley Thermos in 1964. Original issued as a set with a Lunch box. Theme single issued on the HMV label in 1958. Recording features Michael Medwin, Bernard Bresslaw, Alfie Bass and Leslie Fyson with Orchestra conducted by Frank Cordell . Theme single issued on the Decca label in 1958. Recorded by Ted Heath and his music. One out of a set of four jigsaws issued by Berwick. This one is entitled Danger – Men at work. Puzzles are approx. 17 inches by 11 inches in size and contain 320 pieces. 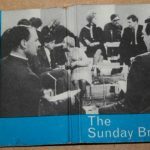 Annual sized book features many TV stars and shows of the period. 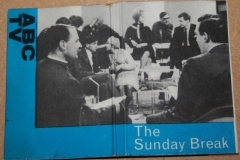 Annual sized book contains features and photographs of TV shows around at the time. Childrens annual based on Thames TV series. Features small piece on Star Wars. 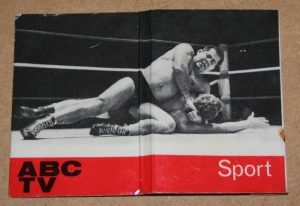 Annual published by World Distributors Ltd. Annual published by Brown and Watson in 1977 for the Bionic Woman. 1997 Postcard made to promote the computer game based on film. Set of viewreels issued for this classic western. Produced by GAF . Copyrighted 1964. 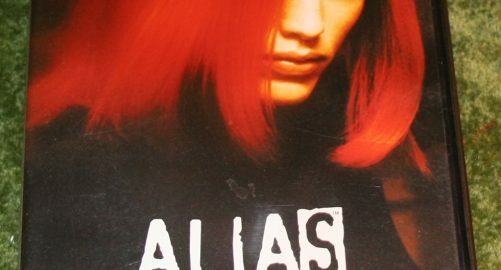 Paperback book based on the series. Russian Roulette by James Mitchell. Published by Corgi Books. 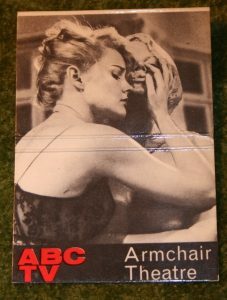 Annual published by World Distributors for this BBC soap based around a gossip magazine. An empty card album for Cards that you could cut out of the backing cards for corgi Jr models. Features printed images of the cards inside with information about the model. Dad’s Army Annual for 1978 produced by World Distributors Ltd. Contains a mixture of Text and strip stories. Paperback published by Star books. 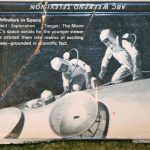 During the 1960’s several of the Saint books were reissued in America, with photo covers from the Roger Moore TV series, by the Fiction Publishing Company. This one is Enter the Saint. This one is Featuring the Saint. 1970’s Rolf Harris endorsed Stylophone. A classic instrument of it’s day. A sort of electronic zylophone. 1 sheet poster 41×27 inches approximately in size. Requiem for a Cop by Victor B Miller. UK paperback published by Star Books. Annual based on ITV’s answer to Blue Peter. Magpie. CI5 The New Professionals Publicity handout promoting the revamped new version of the Professionals. 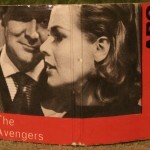 1964 Annual published by World Distributors Ltd.
Soundtrack LP for classic early 70’s British movie. Space Family Robinson Lost in Space Annual. Annual of Gold Key reprints (c) 1966 World Distributors Ltd. 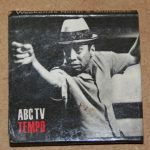 Promotional book matches for ABC TV Outside broadcasts. Early to mid 1960’s. 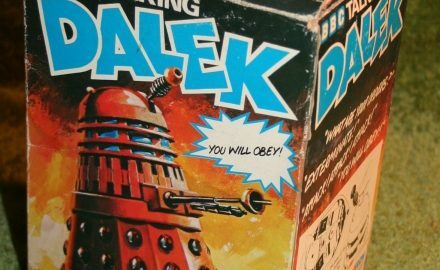 Boxed example of Talking Dalek toy. Palitoy 1970’s. 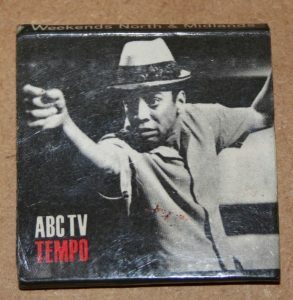 Promotional book matches for ABC TV series Tempo. A Contemporary arts series of the 1960’s . Wild Wild West USA Paperback based on series. Published by Signet books (New American Library) in 1966 and written by Richard Wormser. Computer game based on the TV series for PC’s Produced by Acclaim Entertainment in 2004. 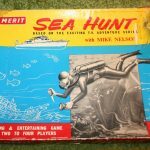 Rare 1960’s Board Game based on TV series Sea Hunt. Produced by Merit toys. 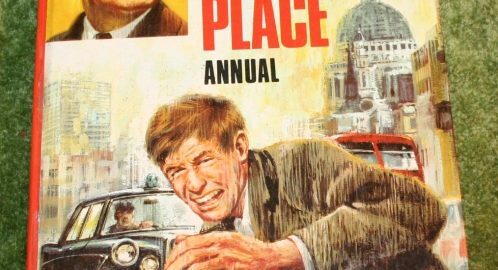 Film Tie-in edition published by Panther Books in 1966. Preformed by Dave Lee and his Orchestra. 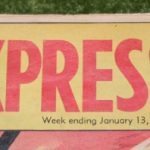 TV Express Comic No 376 Dated January 13th 1962. This the last issue of this title before it merged into TV Comic the following week. This issue contains: Col Pinto’s Wartime Notebook a comic strip based on Pinto’s wartime exploits as also featured in BBC TV’s Spycatcher TV series of around the same time. A two page Danger Man text story by Henry Lewis. Alfie and Bill, a strip story featuring the actors from Bootsie and Snudge. Biggles Air Police news, as well as a full colour comic strip featuring the hero. No Hiding Place comic strip story. Full page piece about merging with TV Comic features photograph of Supercar. Around the World with Alan Wicker full page feature. 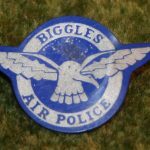 Very short lived TV series following the adventures of Sgt James Bigglesworth of the Special Air police, known to all as Biggles. The series was based on the Biggles adventures written by Capt W E Johns, and ran for 44 black and white half hour episodes during 1960. Biggles was played by Neville Whiting and he was supported in his endeavors by John Leyton as Ginger and David Drummond as Bertie. The main adversary for Biggles throughout the series was Von Stalhein played by Carl Duering. Each of the episodes supposedly featured a real instances of flying. The Director Matthew Boddy had also apparently decided that all of the actors should have flying lessons. Indeed the actor David Drummond told of one such lesson, David had taken the second pilots seat during the lesson with John Leyton in the rear, when it came for David to take over the controls from the instructor, he was instructed “Don’t go up.” but he did if fact go up, so sharply in fact that upon landing John was green as due to the sharpness of the climb he had thought they were going to loop the loop. Now in the original Biggles books there was a forth member of the theam Algy, this character not however make it into the series as early on, as acording to David Drummond, there were discussions and budget did not stretch to a fourth team member, the roles of Bertie and Algy were there for combined. The series ran from the 1st of April 1960 until 12th October 1960, and the 44 episodes consisted 11 multi-part stories, which appear from the titles to have been adapted from several of the original Biggles books. 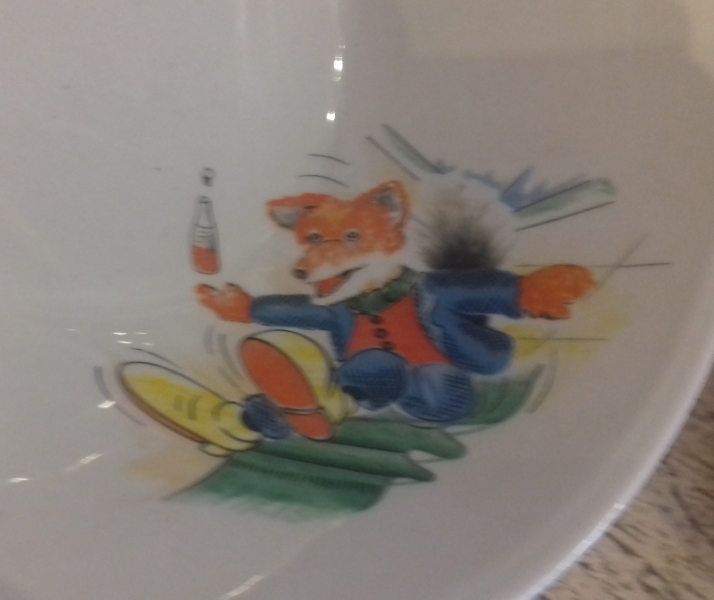 “Biggles flies North”, “Biggles Follows On”, Biggles takes Charge” etc. 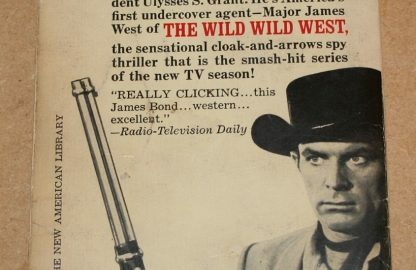 By all accounts the series was aimed at a younger audience, with each episode containing plenty of action and excitement, each episode also apparently ended with a cliff hanger inviting the viewer to tune in the following week. During the run of the series, the youngest cast member , John Leyton, had received a lot of fan mail, and it was suggested to Leyton that he might try his luck as a pop singer because he had the looks. Chart success came very quickly with his second single “Johnny, Remember Me”, becoming a huge hit. Several big names appeared in the series in supporting roles among them Oliver Reed and Terrence Alexander. 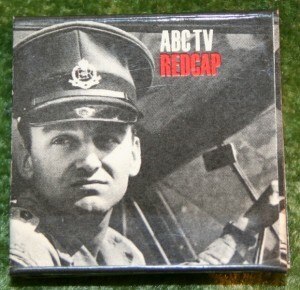 Reed playing Gus Norman in the first story “Biggles on the Home Front”. While Dad’s Army regular John Laurie appeared in the adventure “Biggles Flies North”. The series was written by Tony Warren who would go onto create Coronation Street, whilst the series composer, Tony Spier, would also write the theme music for that later series. Sadly not much other information is available about this series and a planed DVD release by Network was cancelled due to a possible new version being in the early stages of pre-production. Only items known to be relating to the Grenada TV series are included here. 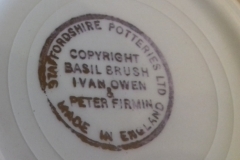 This is a small blue plastic badge which was a mail in premium from Quaker Oats in 1960. Originally it came with a letter from Biggles and a secret decoder. You could also send in for a model kit of his aircraft. Very short lived American TV series inspired by the H.G. Wells novel, starring David McCallum, one of the stars from sixties hit series the Man from U.N.C.L.E.. The series lasted only 12 episodes along with the TV movie pilot episode. A fairly common practice in the early seventies was to make these effectively back door pilots for TV series , which basically meant making a feature length TV movie, which if it proved successful enough would pave the way for a full series. This pilot movie had McCullum starring as Dr Daniel Westin , who while working for the Klae Corporation, in the field of molecular disintegration for medical purposes, discovers a side effect of the process is that things can be turned invisible only to reappear a few hours later. Westin obsessed with his work turns himself invisible, in part to prove that a human can survive the process, and also to test a serum he has developed to reverse the invisibility. Upon showing his discoveries to Walter Carlson, he discovers that funding has come from military sources. To prevent military usage of his invention, Westin then attempts to destroy his research and all the equipment, but not before becoming invisible in order for him to make his escape. Westin briefly becomes visible after his escape only to find that the process is unstable, when he turn invisible and is unable use the serum to reverse this. A friend is able to help him by creating a face mask and gloves from a special material called Dermaplex, that has the same properties as human skin. By the conclusion of the pilot, the process’ lack of stability renders it effectively useless for commercial or military applications, and the Klae Corporation is persuaded to re-employ him in his research capacity despite his condition. The following series then saw Daniel seeking to perfect his work and at the same time find a cure for his invisibility. 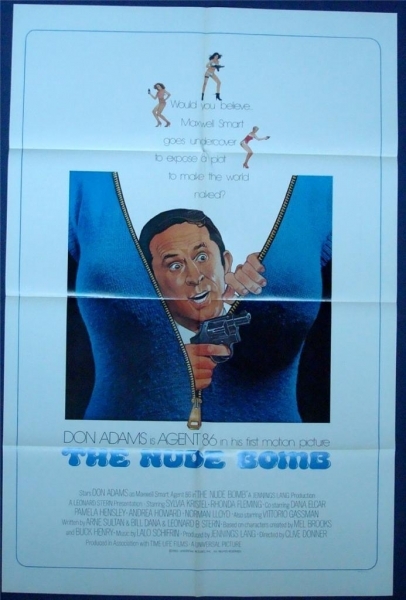 USA 1 sheet poster for this 1980’s feature film debut of Maxwell Smart. Approx 41 x 27 inches in size. The Invisible Man by Michael Jahn. American paperback adaptation of the pilot episode of the NBC / Universal Tv series starring David McCallum. Childrens belt buckle issued by Lee Co in 1984. Annette Mills Gift book, Published by Heirloom Library. Story book featuring Muffin the Mule and other characters written by Annette Mills. Features illustrations by Molly Blake, George Fry and Edward Andrews. No publication date but produced in mid 1950s. British gossip magazine features Noel Harrison and Stephanie powers on this cover with feature on Noel inside. 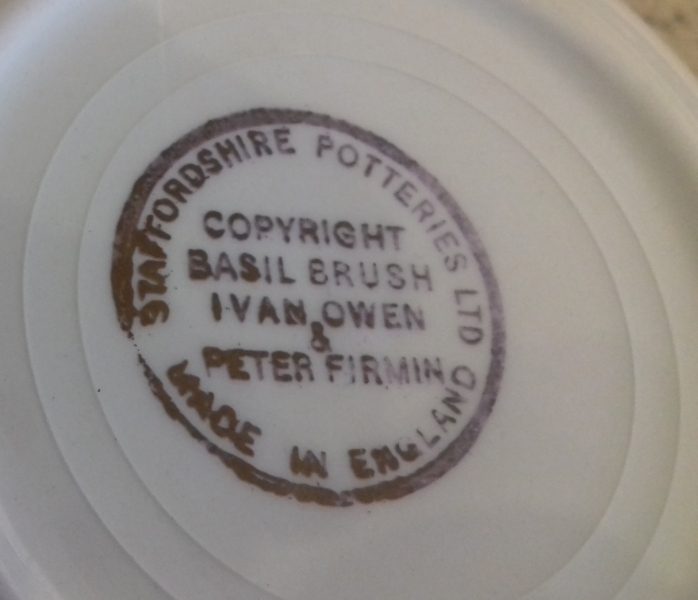 Also inside small piece relating to James Bond. Reasonably nice quality Brass whistle and flashlight. Issued by Transogram in 1967. It is believed that these form part of a small range of items that were never officially released and only survive as travellers samples. 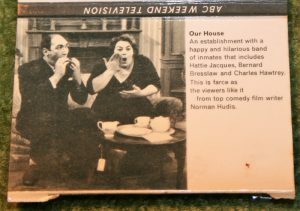 Boxed set of 4 Frame tray puzzles issued by Whitman in 1966. Board game based on this early Gerry Anderson western TV series. Produced by Bell Toys in 1960.